For some, education is a profession, but for most teachers it is a calling. As a child, Kathy Robinson consistently desired to be only two things when she grew up – somebody’s mother and everybody’s teacher. As a classroom instructor, Title 1 teacher, gifted and talented director, technology coordinator and the various other positions Kathy held; she personally saw the power technology has to change lives of the learners in our care. She also learned how to compensate for the limitations within technology by tapping into the only constant educational resource, the classroom teacher. After being identified as academically at-risk two years in a row, both elementary schools in the district where Kathy taught, won Title I Excellency awards the year they implemented a strategy for computational fluency. The award was the direct result of correcting the absence of computational fluency within the student body. With the support of classroom teachers and intentional, targeted instruction of math facts plus individualized lab practice, success was measurably significant and test scores proved it. Increasing computational fluency prepped students to embrace flexible thinking in mathematics. 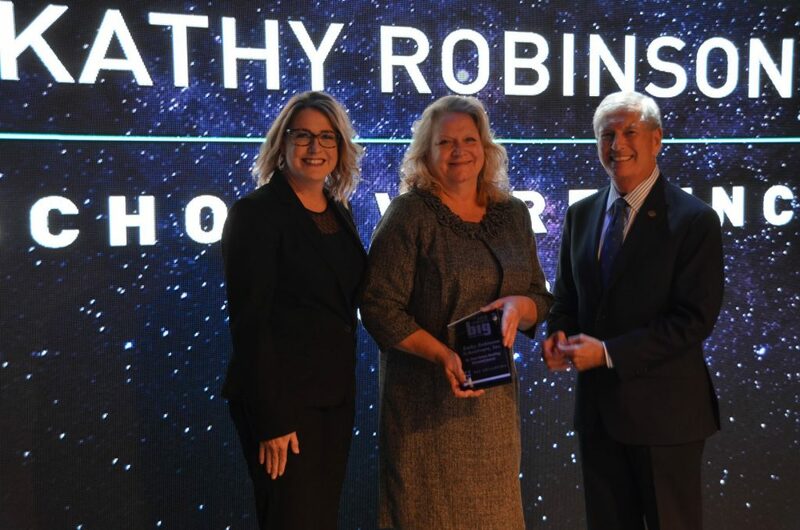 After teaching nine years in the public school system, Kathy Robinson decided to offer her proven methods to other schools. 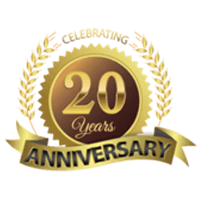 Schoolware, Inc. was founded eighteen years ago. 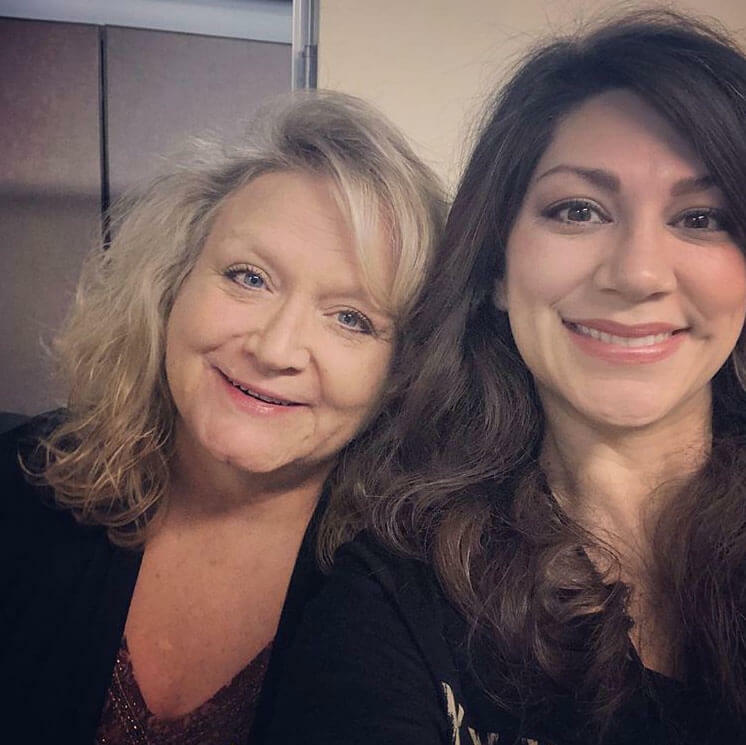 Kathy Robinson, President and CEO of Math Facts Matter and Schoolware Inc. with Samantha Dimas, owner and manager of Southern Oklahoma Drug & Alcohol Testing, LLC who is pursuing a master’s degree to teach mathematics.  Kathy Robinson was given the Dr. Fern Green-Bowling Diamond Award, which she received at REI’s 2018 Dream BIG Oklahoma event. 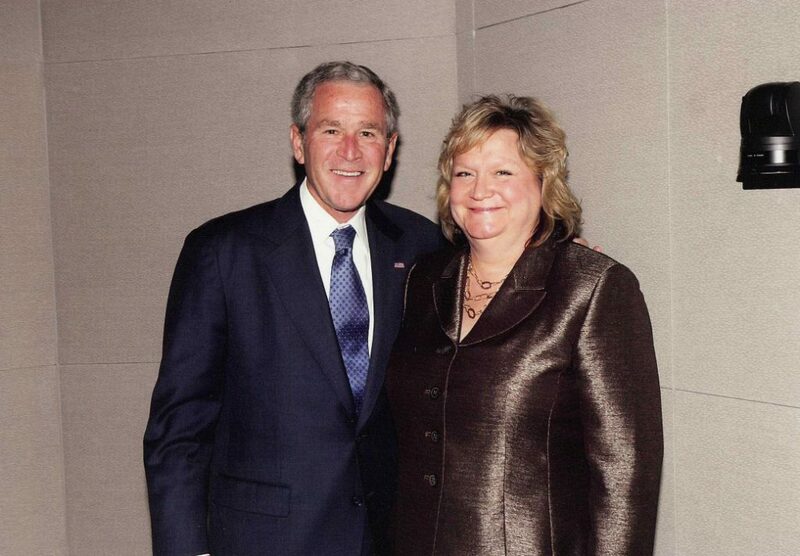 The award recognized Kathy’s leadership and commitment to serving schools and teachers across Oklahoma through her business, Schoolware Inc.
Over the years, Kathy has won several awards and has even served at a round table with (now former) President George W. Bush. 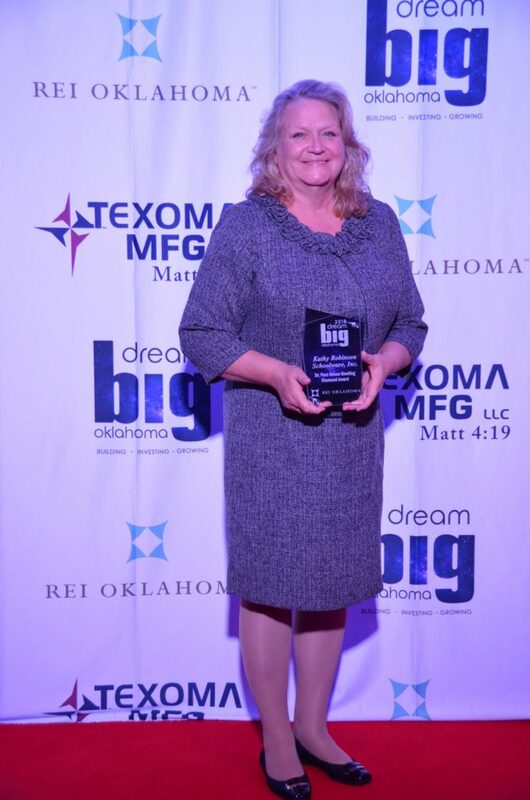 She was recognized, on that special occasion, as one of Oklahoma’s leading business women and was given the opportunity to meet with the President of the United States to discuss the importance of heathcare options for employees of small businesses. 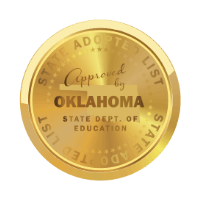 “I want to thank our participants for joining me here in Oklahoma City, Oklahoma. I want to thank the Mayor, members of Congress, United States Senator. Most importantly I want to thank women entrepreneurs. Seventy percent of all new jobs in America are created by small businesses owners. Today with us are small business owners — people who’ve taken risk in order to realize dream, and in so doing have provided job opportunities. These are the job creators of the vibrant economy here in Oklahoma. One of the real issues — there’s a couple of issues that face, obviously, a small business owner. One, are they — do they have a product anybody wants to buy? But also taxes — high taxes make it harder to stay in business. I strongly urge the Congress to make the tax relief we passed permanent so that taxes won’t increase on small businesses. But another issue that I hear all the time when I’m talking to small business owners is the issue of health care costs. If you listen to anybody who owns a small business, they will tell you that the rising cost of health care is troubling not only to their balance sheet but to their soul, because they want their employees to have the best. A small business owner really does care a lot about their employees. Today we’re talking about a way for small businesses and individuals — and large businesses, for that matter — to help — to deal with rising health care costs. Our goal is to make sure health care is available and affordable. And once — one way to help deal with rising health care costs is what’s called health savings accounts. These are ingenious products to help people save, incent people to, you know, take care of their bodies, and also make sure that if there’s a catastrophic illness they’re taken care of. These are products that enable somebody to, you know, move from one job to the next and keep their health care with them, which is important in the 21st century. They’re ways for employees [sic] to take care of their employees. 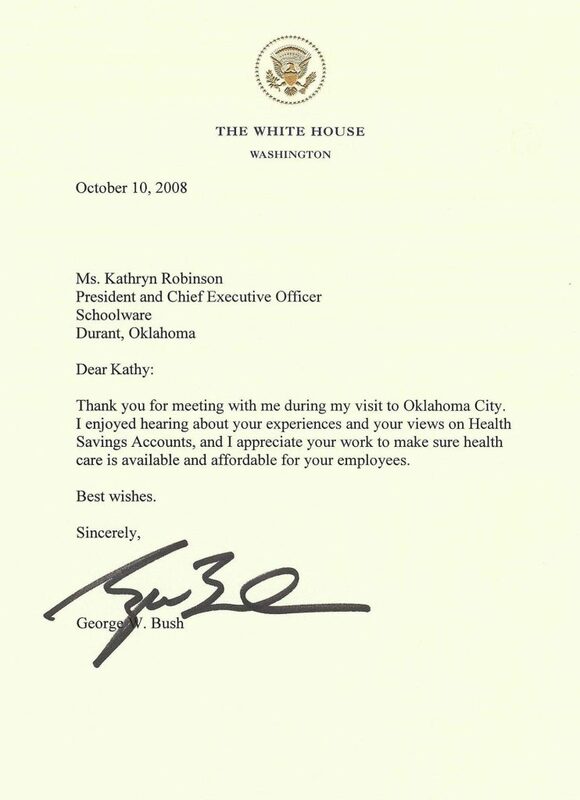 In Oklahoma a lot of people don’t know about health saving accounts, and one of the reason I’ve come down to this part of the country is because I do want people to understand they’re available and they’re good. 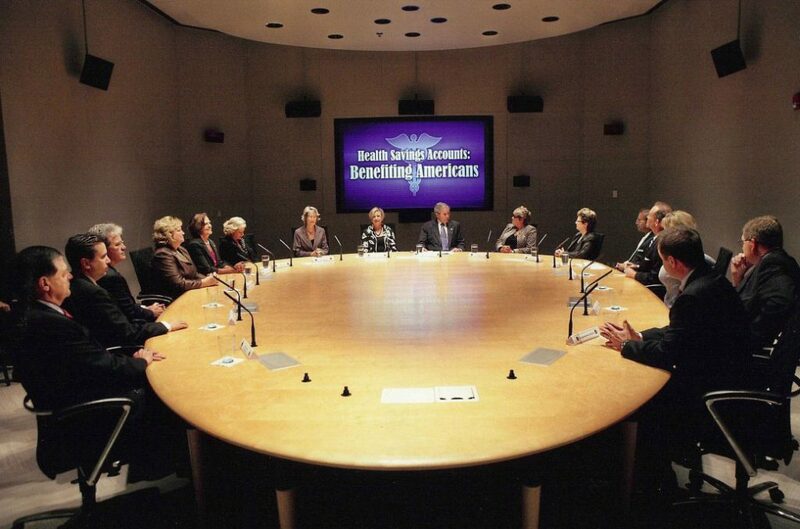 About 6 million people across the country are using health savings accounts. The biggest increase is with small business owners. And so today we’ve had a good discussion with owners who’ve got a health savings account, people who are looking at health savings account. I introduced Sandy, head of the SBA here, to folks and if somebody wants to really learn about an HSA, just go on hsa.gov, which is an SBA site, so people can see whether or not it makes sense for your business or your family. Anyway, I do want to thank you all very much for, one, being pioneers; two, being risk-takers; and three, giving me a chance to hear your thoughts and concerns and — about a very innovative way for small businesses and individuals to be able to better afford health care.